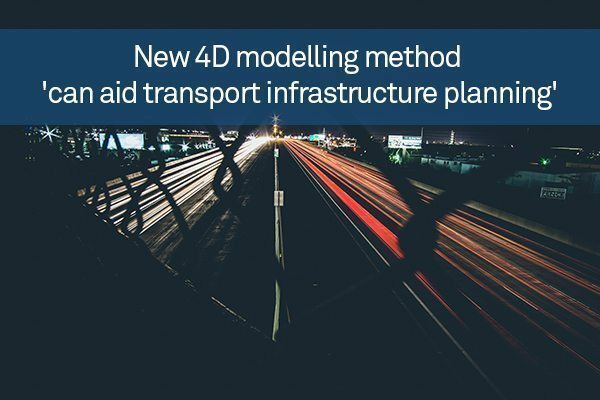 An innovative 4D modelling method has been developed by Concordia University to aid the planning and completion of public transportation infrastructure projects. The innovative method is the first of its kind to integrate stochastic simulation techniques, which are algorithms designed to predict and account for randomness, into the 3D modelling of highways. This allows planners to generate 4D representations of the construction process that takes factors of time into account, meaning it can be used to detect and plan for scheduling clashes and define feasible sequences in which the segments of highway bridges can be constructed or demolished. Concordia’s method, which was recently profiled in the scientific journal Automation in Construction, is being employed in the planning of Montreal’s Turcot Interchange, the biggest road construction project in the history of Quebec. These processes can often be extremely complex because of the need to maintain traffic flow even as the work is being carried out, making it impossible to simply knock down the existing interchange and replace it. Instead, a plan is required to gradually shift traffic from existing segments to the newly-built ones – a process that this new model will facilitate. Study senior author Amin Hammad, a professor in Concordia’s Institute for Information Systems Engineering, said: “This parallel coordination of construction and demolition activities with traffic flow is essential to the success of these projects. It is expected that wider adoption of this planning principle will make it easier for transport infrastructure projects to be delivered on time and within budget in future, while minimising public disruption.